The Sun Hat is a cheery thing, complete with pipe for breaks! 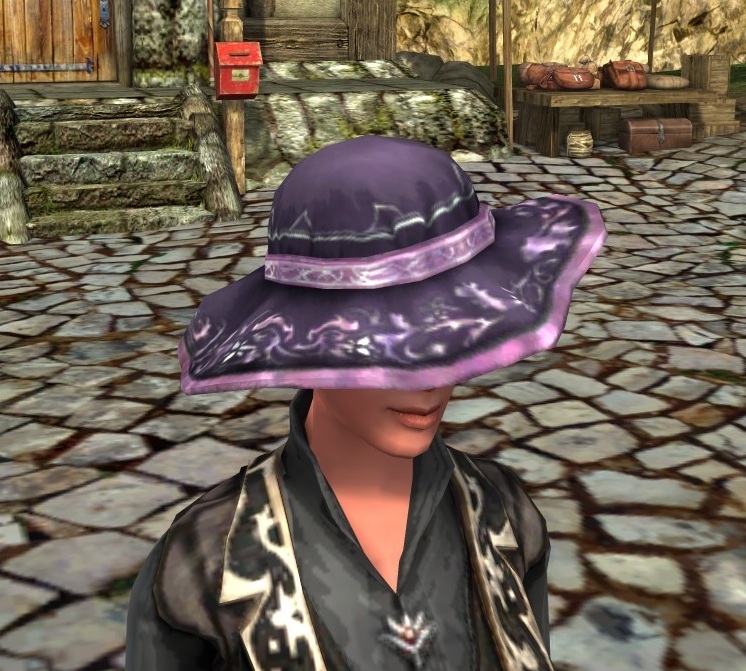 One of the lovely cosmetics (the Wide-brimmed Spring Hat) from the recent Spring Festival, dyed violet. A coy sort of hat. I will not reveal how long it took me to skirmish solo for the 5 Whatsit Marks that used to be necessary for this (the Ceremonial Thrill-seeker’s Helm). It was still totally worth it. For Starry Mantle, a Loafer’s Hat redux. It’s Yule-fest in July! 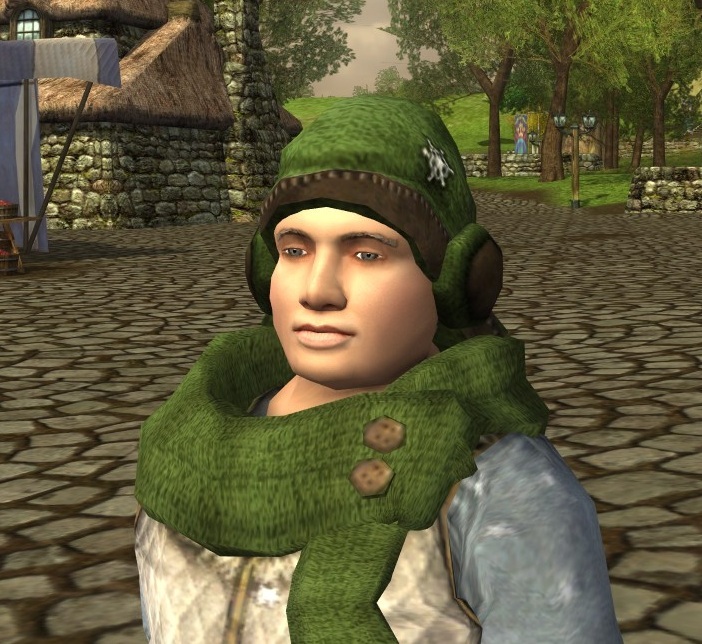 When the Yule Stocking Cap (and Scarf) were first revealed, I know a lot of people were disappointed with the mesh and with the items in general. Contrary person that I am, I love both with all my festival-obsessed heart. I probably use the Traveller’s Hood more than any other hat cosmetic. 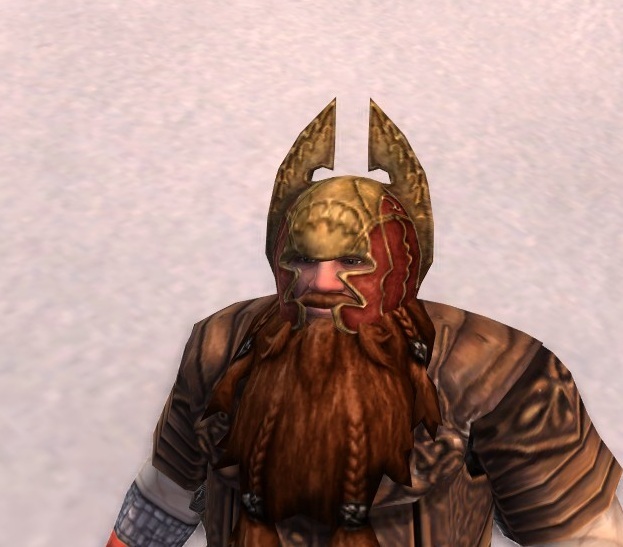 You know, you pat a Dwarf on the head, you sort of deserve to get your palm impaled (by the Barrow-scout’s Helm). Baruk Khazâd! I meh-ed the hats. Other than a nice hood or circlet, I’m pretty sure I rarely use the head slot. Atan hates hat hair. I can see Atan being very grumbly about hat hair. 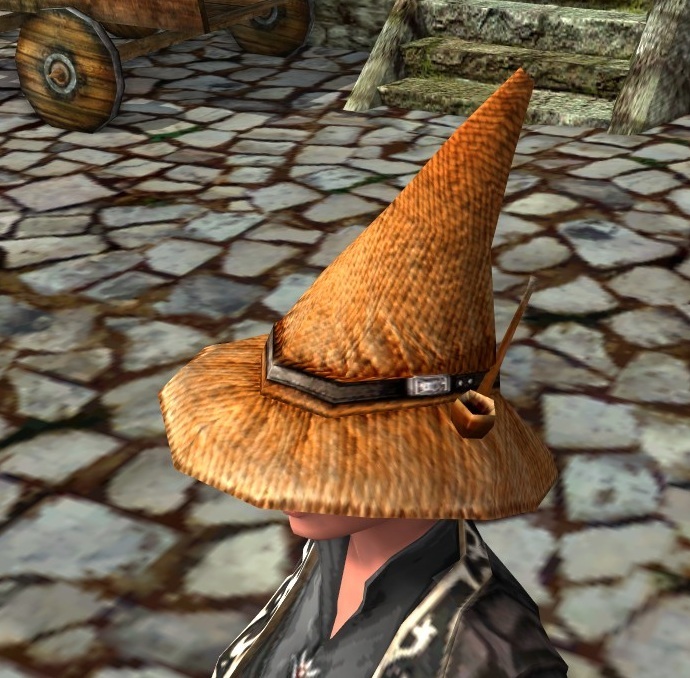 My hobbit has to have a hat to complete every outfit. 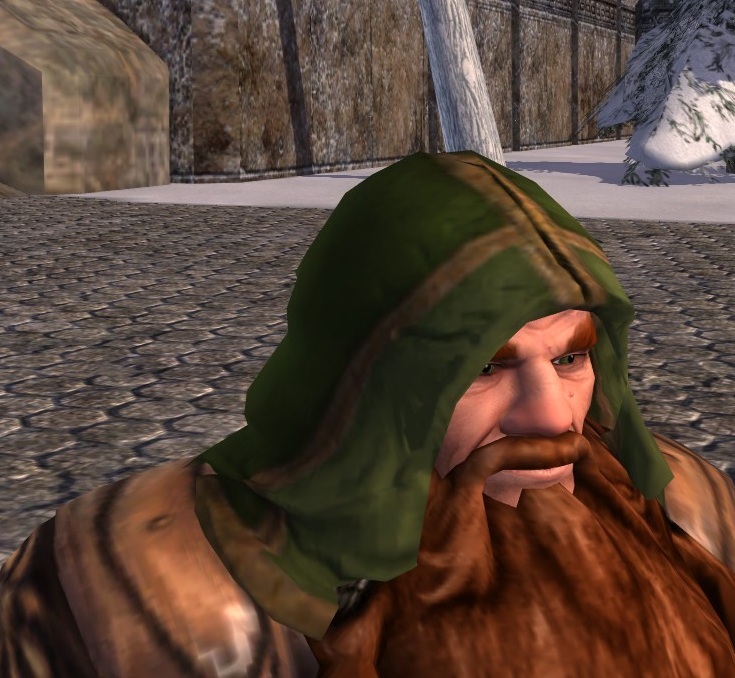 But my elf and woman stick to circlets… or possibly a hood if it’s cold. Haha! Hobbits seem like such HAT people, it’s true. Haha, yes! I have to /remind/ myself to make complete outfits for outfit blogging. In my daily gameplay, I usually wear circlets, the Traveller’s Hood, or nuthin’. I miss my Phoenix Hatchling. I usually wear something on my head, unless it’s a hood which I remove during the day (unless it’s raining). Oh! 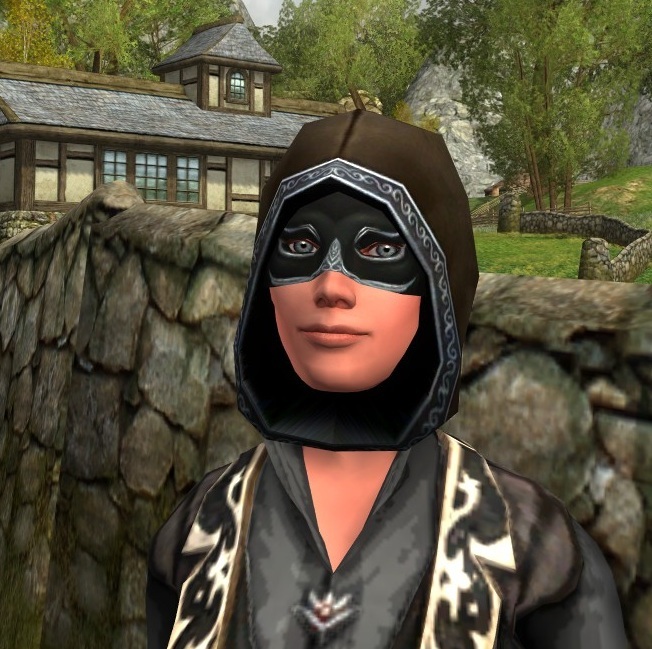 And I love the Annuminas light circlet and burglar rift hats, they are awesome. And the Townsaver’s. And the spring flower wreath. 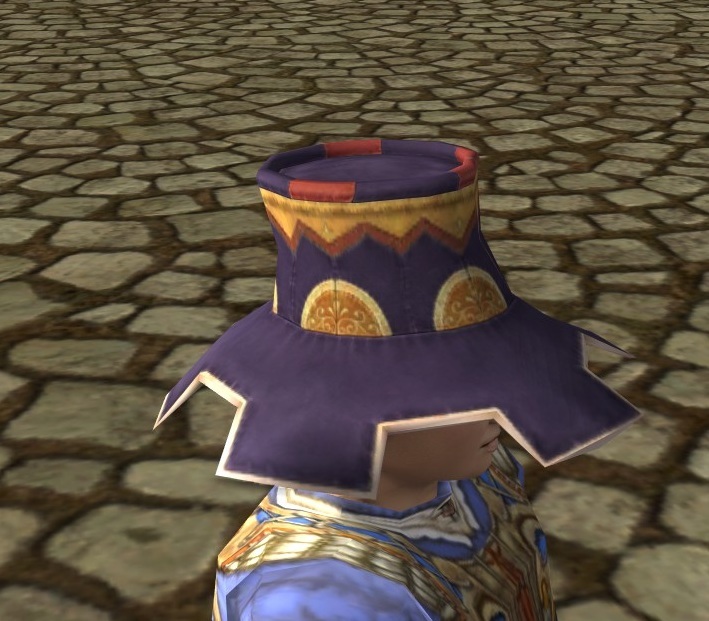 I despise most of the helms/hats in LoTRO…most are ugly to a fault.